UD Las Palmas win in Riazor against Deportivo de La Coruña with a goal by Aythami Artiles in the final minutes. 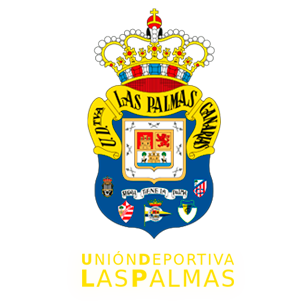 Las Palmas regained their prestige with victory tonight against Deportivo de La Coruña. A single goal by Aythami Artiles in the 86th minute was enough to give his side an important win, who hadn’t won an away match since the 5th game of the season, on 16th September in Extremadura. Pepe Mel made his debut tonight as manager of UD Las Palmas, and stayed faithful to his style, with a 1-4-4-2 formation which has always worked for him. In a foreseeable move, he set up the central defensive pairing of David García and the returning Aythami Artiles. Up front were the attacking duo of Rubén Castro and Sergio Araujo. The Argentine forward enjoyed a great first half. He did everything but score. Las Palmas did not play at a leisurely pace. Their premise was to attack the home side’s area as quickly as possible. After just thirteen seconds they had their first shot on goal, a weak left-footed effort by Sergio Araujo. Deportivo de La Coruña replied with a header by Vicente Gómez (min. 8), which was brilliantly saved by Raúl Fernández. Neither side dominated proceedings in the first half. Las Palmas didn’t look so stiff in their playing style, as they looked to entertain, and were more efficient in anticipating the game. They made everything look more simple and faster. 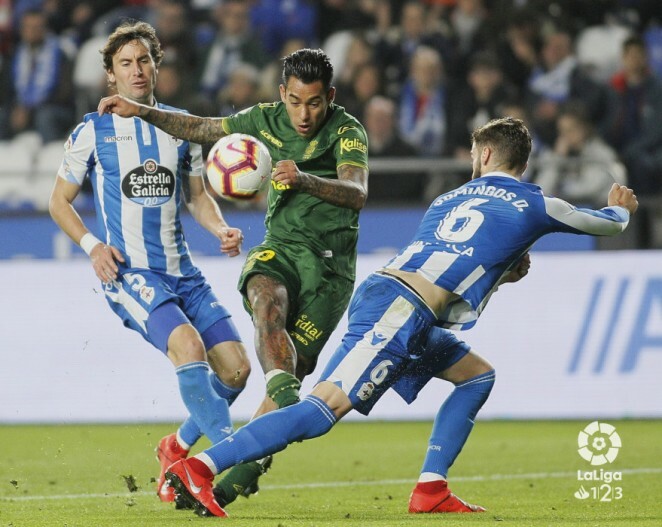 The home side were letting mistakes creep in because Mel’s players were pressuring hard up the pitch as Deportivo attempted to play the ball out of defence. Half time arrived with no change to the scoreline. With their intensity and the way they fought for every ball, Las Palmas looked the better side. Mel had had enough time during the week to introduce concepts in an attempt to play a style of football better suited to the second division. The match became more disjointed in the second half. Both sides were struggling to create chances. A header by Rubén Castro (min. 54) flew over the bar. Tactically, Las Palmas had grown in confidence. Their physical efforts also paid off against a team who were tough to crack at home. Álvaro Lemos had a weak shot from the edge of the box, which was comfortably saved by the home goalkeeper (min. 64). In the last ten minutes of the match Las Palmas played with an extra man due to a straight red card for Edu Expósito following an ugly challenge from behind on Maikel Mesa. The resulting free kick was turned away brilliantly by Dani Giménez. Las Palmas’ insistence finally paid off in the 86th minute with the goal by Aythami Artiles. His well placed shot rebounded into the net of the post. So a great victory for Las Palmas which keeps their playoff dream alive. Óliver de la Fuente Ramos awarded Pablo Marí (23'), Pedro Sánchez (55'), Diego Caballo (80') from RC Deportivo y R. de Galarreta (75'), Eric Curbelo (82'), Fidel (89') from UD Las Palmas. Sent off with a red cardEdu Expósito (83') from RC Deportivo .